LED, also known as Light Emitting Diode therapy, uses different colors and combinations of light to treat various skin concerns and conditions. 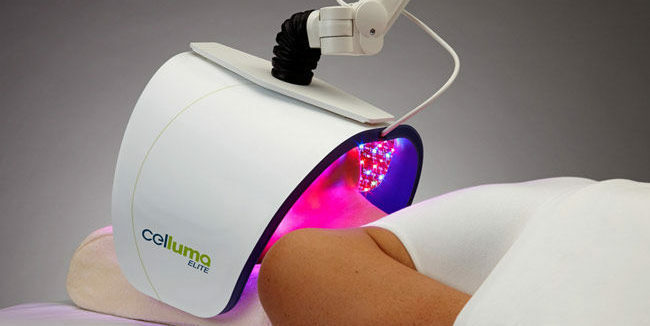 The Breslow Center is pleased to now offer New Jersey patients LED treatments with the Celluma Elite’s cutting-edge technology. Using targeted wavelengths to stimulate collagen and elastin production, this device provides scientifically proven anti-aging benefits. It can also be used to speed up recovery and reduce post-procedure bruising or swelling. Ask our staff about our complimentary offer of three LED treatments after surgical procedures. Why should I consider adding LED to my treatment? LED typically complements the other services that we offer including microdermabrasion, microneedling, chemical peels and facials. People who experience swelling and bruising after injectables will also benefit from this treatment. We offer LED healing packages for breast reconstruction, breast augmentation, rhinoplasty, abdominoplasty and body surgery patients, which accelerates the recovery process and helps with any discomfort and swelling. What’s the difference between red light and blue light? Blue light has antibacterial properties and has been FDA approved to treat acne. This light kills the bacteria which causes acne blemishes and breakouts. Red LED light is anti-inflammatory and helps repair cells that have been damaged by the sun, environmental factors, free radicals, age and chronic skin conditions. Regular treatments over time stimulate the production of elastin and collagen, the proteins responsible for keeping our skin firm, plump and intact. Infrared therapy is often to be used to treat wrinkles and other problems caused by poor skin support, such as translucent skin or coarse skin. A combination of red and blue light decreases sebum production while reducing inflammatory skin infections and conditions. Which skin conditions does LED treat? Acne, rosacea, psoriasis, fine lines and wrinkles, loose skin and hyperpigmentation may all be treated with LED facials. As with any treatment, results are cumulative so you need to be consistent. Will LED damage my skin and is there any downtime? No. It is a very safe, gentle, light treatment with no downtime when performed correctly. Most people find it very comfortable and relaxing. How long do LED facial treatments take? Typically between 20 and 30 minutes. You will see results after your first treatment. Your skin will feel tighter, less inflamed or brighter depending on what we are targeting. 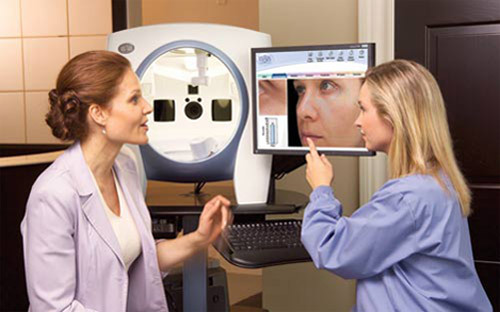 3-5 treatments are required in order for you to see long-lasting results. The severity of the condition and your skin type will determine the proper course of treatment. I see a lot of celebrities doing this treatment at home. Are all LED treatments the same? No! There are many devices on the market, however, this treatment should only be administered by an experienced professional who will adjust the lights appropriately to avoid irritation to skin that may already be inflamed and sensitive. Contact The Breslow Center in Paramus, New Jersey at 201-444-9522 to find out if LED facial treatments are right for you!